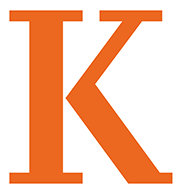 Group visits are meant for academically-prepared high school students who are interested in learning more about Kalamazoo College. Group visit requests will be honored on a first come, first served basis, and as scheduling limitations allow. Group visits are available Tuesday - Thursday between 9 am - 4 pm. We are unable to offer group visits November 16, 2018 - January 8, 2019 or March 18, 2019 - April 1, 2019 due to winter and spring breaks.